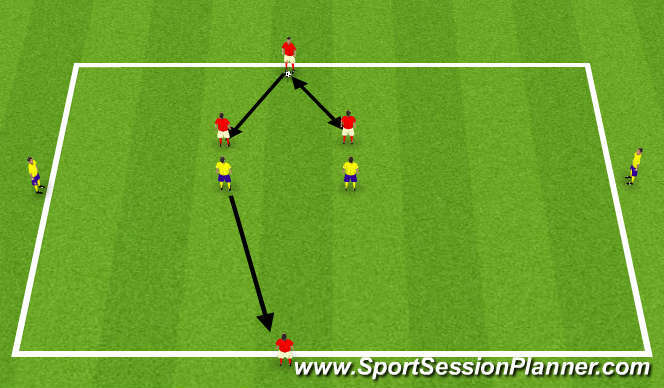 Passing combination looking at striker holding up play and playing in winger. The whole focus of this practice is the movement off the ball. The CM times run to set ball from LB to CB, CB opens out and plays to CB, as soon as he prepares to pass the next CM times run in front of mannequin and sets to RB. As RB prepares to pass forward the no.10 times run and sets to RM, the RM plays into the no 9 who sets to no 10 who switches play to LM, the LM sets to no 9 who times run and plays back into the LB. Add two balls. Coach timing of run and do not stand still to receive. 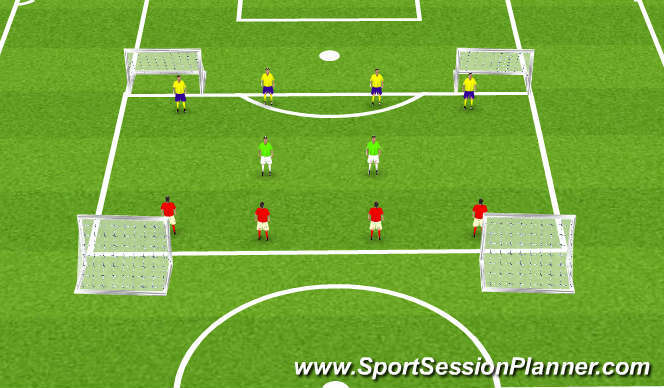 Aim: the players have to play the ball from one side of the grid to the other. 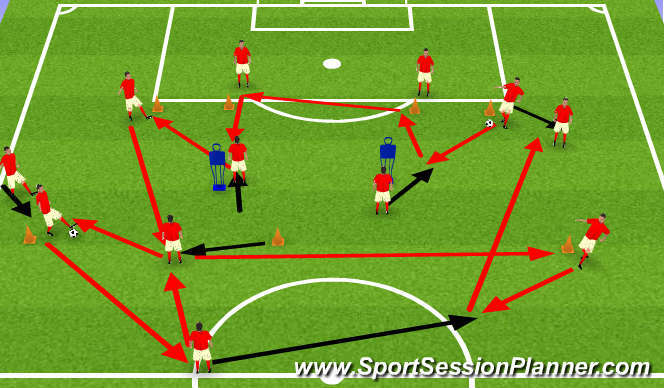 Key targets: creating space, holding the ball up and bringing other players into the game. 1st time finish in the small goals. Body positioning, open up and quick play, angles and distance of support.